A federal judge in Seattle has temporarily blocked President Trump's order to halt immigration from seven predominantly Muslim countries. U.S. District Judge James Robart issued a temporary restraining order against the president's immigration restrictions on Friday, and signaled that the order applies to cases across the country. 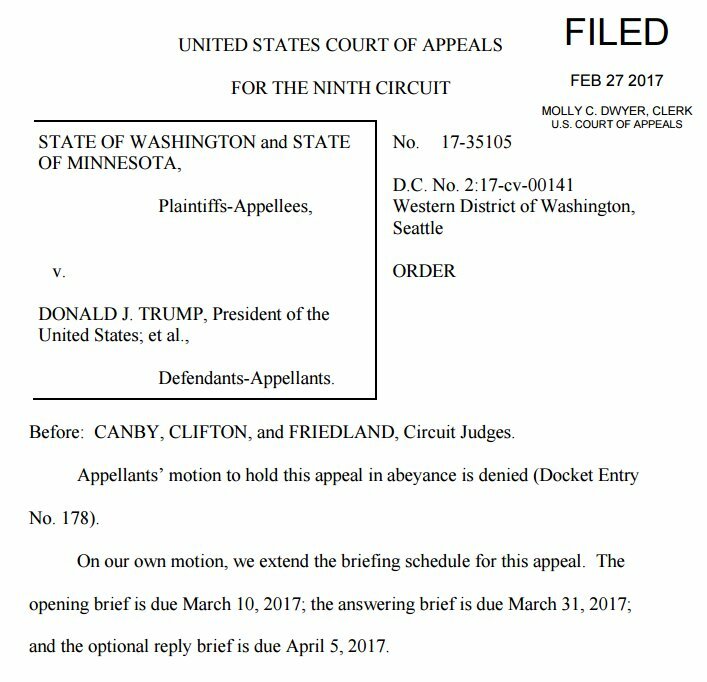 The suit was filed by the state of Washington and joined by Minnesota. The judge in his ruling did not address the state's claim that the immigration ban is unconstitutional.